Welcome to the Eagle Claw Kung Fu Store. 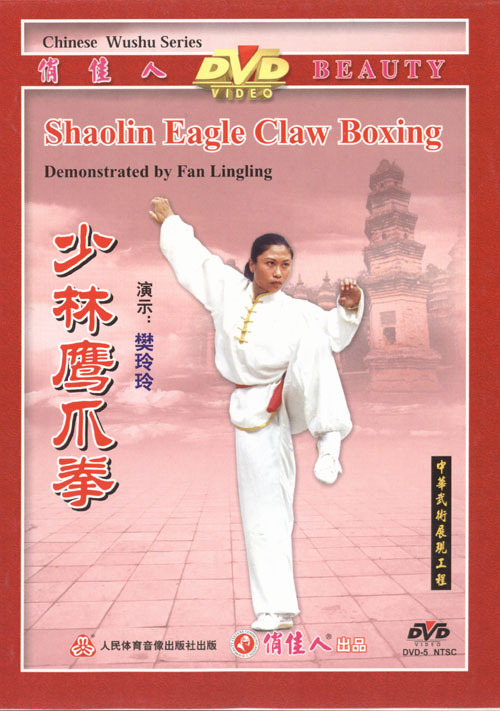 Please take a look at our Eagle Claw Kung Fu products, including instructional books and DVDs for eagle claw kung fu as well as eagle claw training aids. A popular style today Shaolin eagle-claw kung fu has a heavy emphasis on joint locks combined with jumping techniques. A very impressive and beautiful style to watch with many effective counters. Click picture for more information and to buy. Visit our Eagle Claw Kung Fu page for more info on eagle claw kung fu and an eagle claw wushu demonstration video! Eagle Claw Kung Fu training aid for building a powerful eagle claw grip!